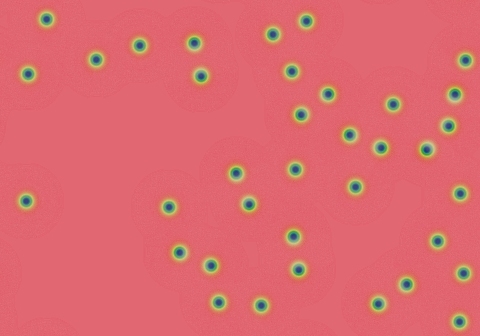 These images and movie demonstrate the behavior of the Gray-Scott reaction-diffusion system with σ=Du/Dv=2 and parameters F=0.0580, k=0.0670. 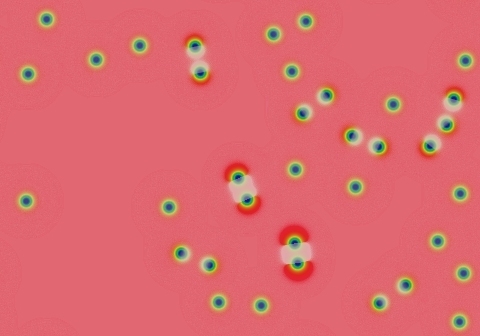 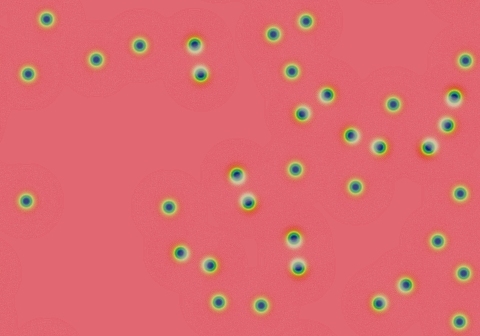 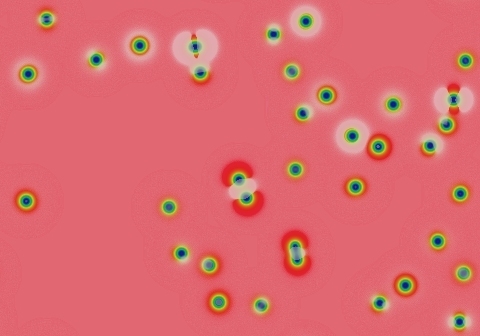 All starting patterns (including short worms, like that at bottom-center) become solitons. 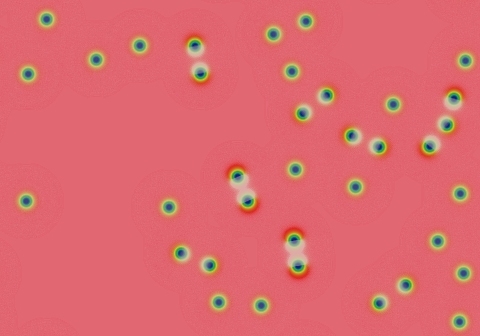 Any solitons in close proximity drift apart very slowly; drift speed diminishes exponentially with distance.